How to Know Aadhaar Number by Name and Mobile No. / Email Address ? Home / Aadhaar Card / How to Know your Aadhaar Number by Name and Mobile Number/Email ? How to Know your Aadhaar Number by Name and Mobile Number/Email ? Know your Aadhaar Number by Name and Mobile Number/Email Address : Aadhaar is a 12-digit unique identification number which is issued by the Government of India to the individual residents of India. 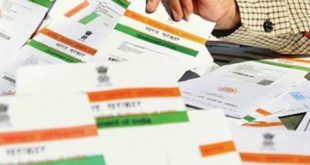 The Unique Identification Authority of India (UDAI), governs the managing of Aadhaar numbers and Aadhaar identification cards. If you have lost your Aadhaar Number and you are looking to retrieve it, you can do so within just 2-3 minutes. You just need to make sure that the Mobile Number or Email Address which you used while registering your Aadhaar Card should be active. As OTP will be sent to your Mobile Number or Email Address depending upon the option you select. Important Note : Let us tell you that a lot of websites have been claiming that you can know your Aadhaar Number by Name and Date of Birth, which is not right. You need to mention your Name but there is no option anywhere to know your Aadhaar Card Number by Name and Date of Birth. You will only see the option to Know your Aadhaar Number by Name and Mobile Number/Email Address. Our intention here is to guide you in a proper way. Please don’t get misguided by such false claims of websites mentioning such things. How to Know Aadhaar Number by Name and Mobile Number ? 2) Select Aadhaar Number(UID) option to proceed to Retrieve your Lost Aadhaar Number. Enter Security Code : Enter the Security code as you see in the image. Click on ‘Send One Time Password’ and the OTP will be sent to your Registered Mobile Number. 4) You will see the OTP message on your Registered Mobile Number as shown below. Do remember that this OTP is valid only for 30 minutes. 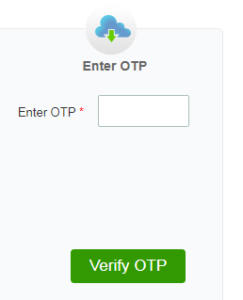 5) Enter the OTP as received on your Mobile Number and Click on Verify OTP. 6) As soon as you click on Verify OTP, Aadhaar Number will be sent to your mobile number registered with UIDAI. You will see such a message on your screen(As shown below). This message says ‘Your Aadhaar Number(UID) is sent to your Mobile’. You can also go ahead and download your Aadhaar Card, update Aadhaar details or Check if your Bank Account is linked to your Aadhaar. 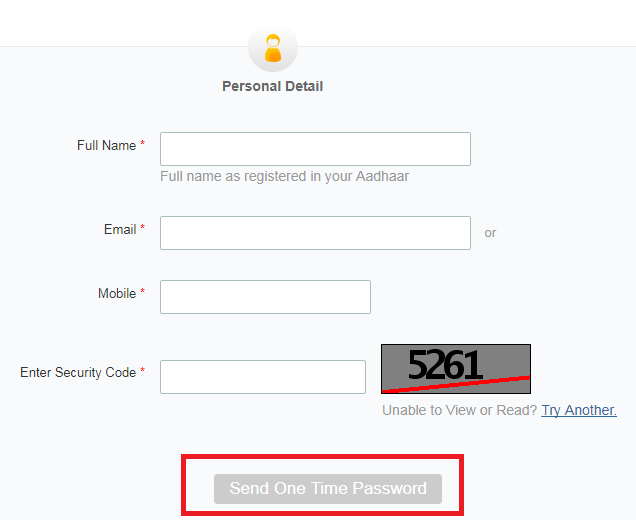 How to Know Aadhaar Number by Name and Email Address ? 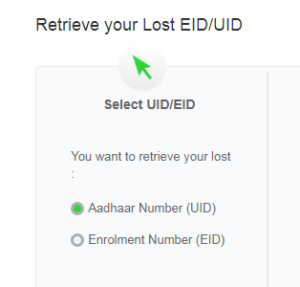 2) Select Aadhaar Number(UID) option to proceed to Find your Lost Aadhaar Number. Click on ‘Send One Time Password’ and the OTP will be sent to your Registered Email Address. 4) Enter the OTP received in your Email and Click on Verify OTP. 6) As soon as you click on Verify OTP, Aadhaar Number will be sent to your email address registered with UIDAI. You might have seen that it is quite easy to know Aadhaar Number by Name and Mobile Number or to know Aadhaar Number by Name and Email Address. The only thing which is needed is that you must have your registered mobile number or email address which is active, without which you would not be able to get the required information. As OTP will be sent to your registered Mobile Number or Email Address and only after entering and verifying OTP you can know your Aadhaar Number Online. Previous What is MICR Code and How to Find it ? Next What is the Difference between IFSC Code and Swift Code ? 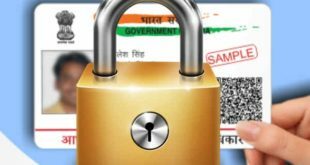 How to Open Aadhaar Card Pdf File ? 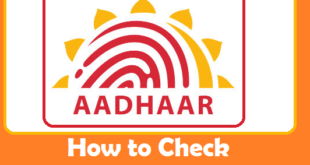 How to Check Aadhaar Card Status ? 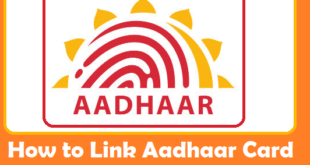 How to Link Aadhaar Card with PAN Number ? I tried to retrieve my adhar number, but it seems that captcha is not working.